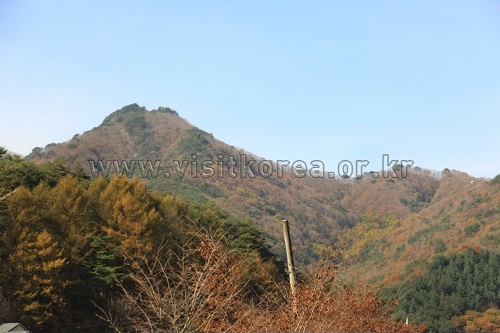 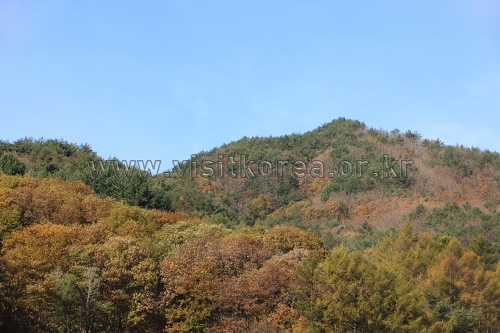 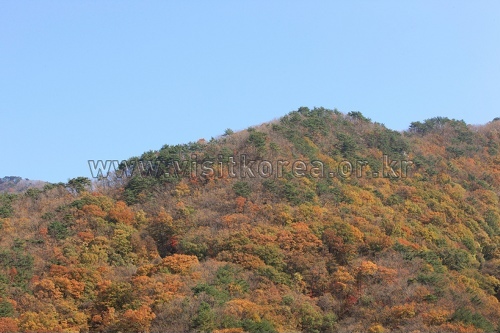 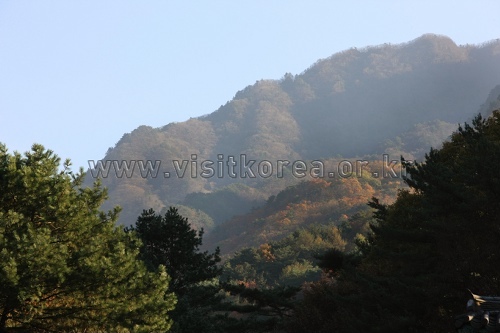 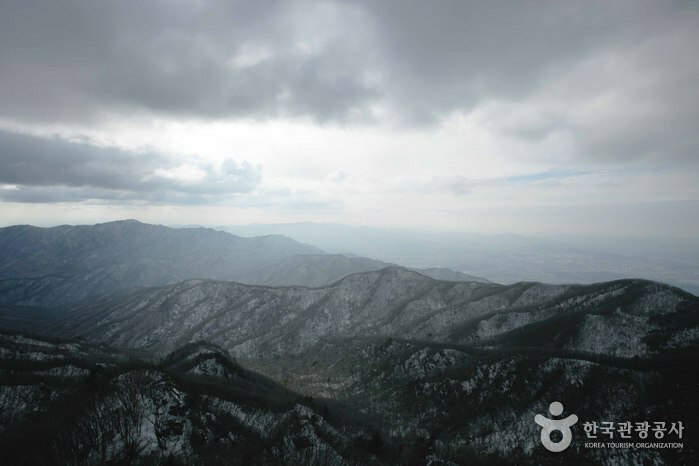 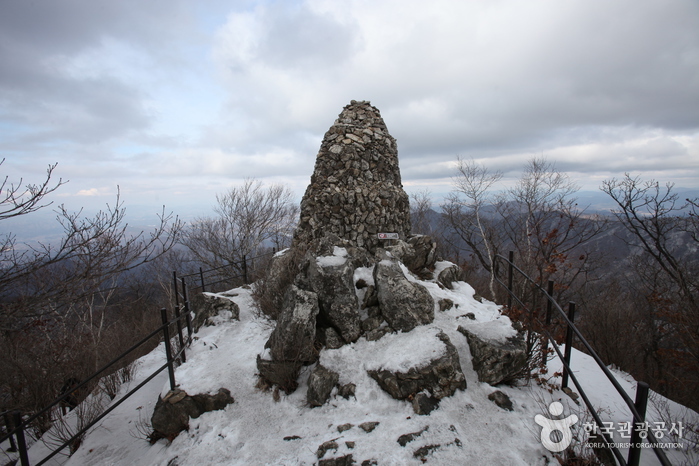 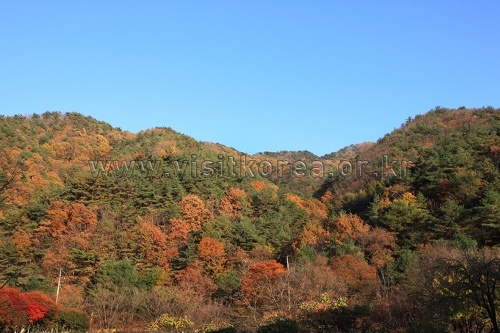 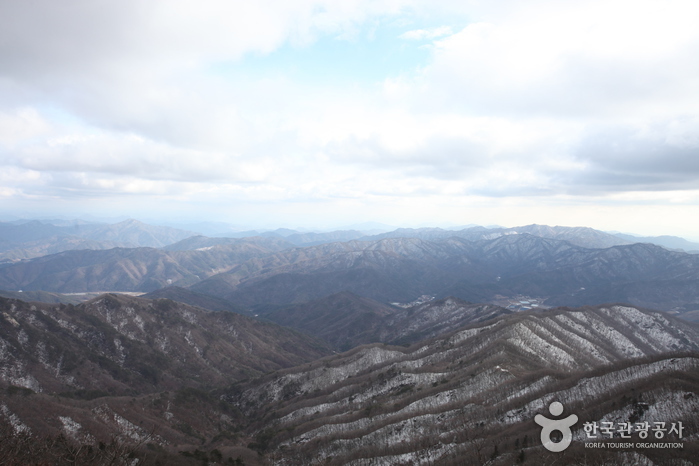 Chiaksan Mountain has several peaks reaching heights of over 1,000 meters, including Namdaebong, Cheonjibong, Hyangnobong, Sambong, and Birobong Peak, the tallest of the peaks at 1,288 meters. 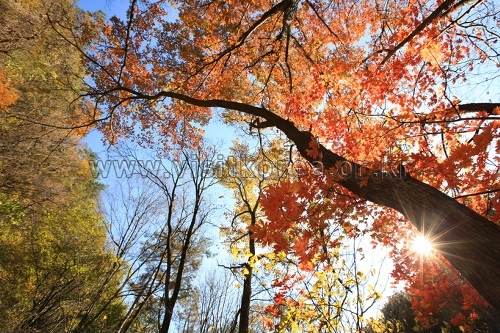 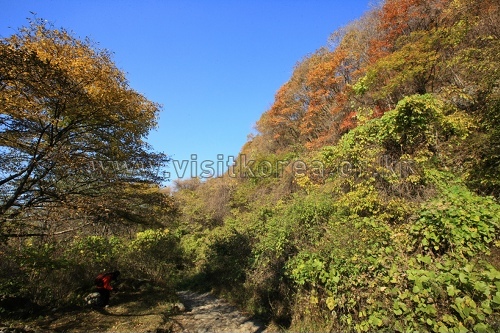 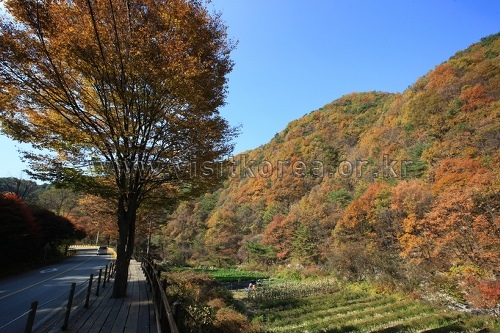 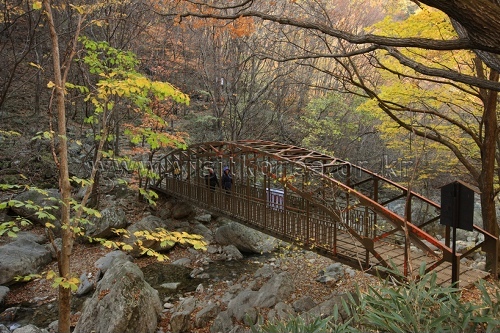 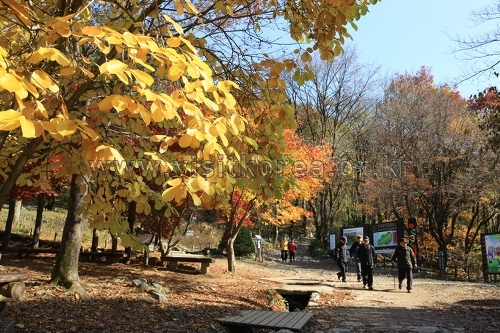 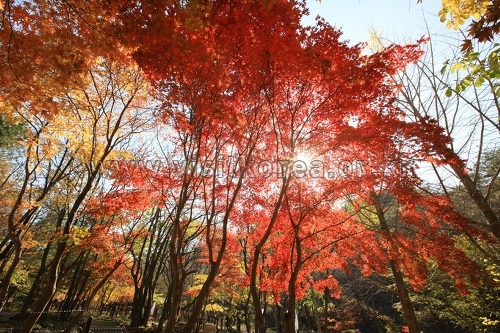 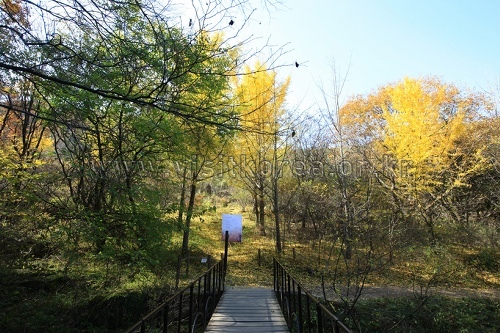 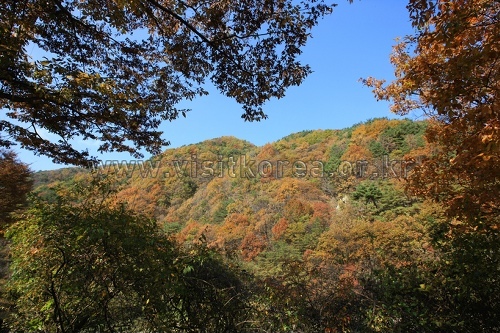 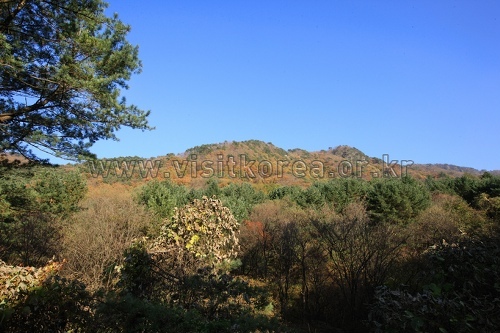 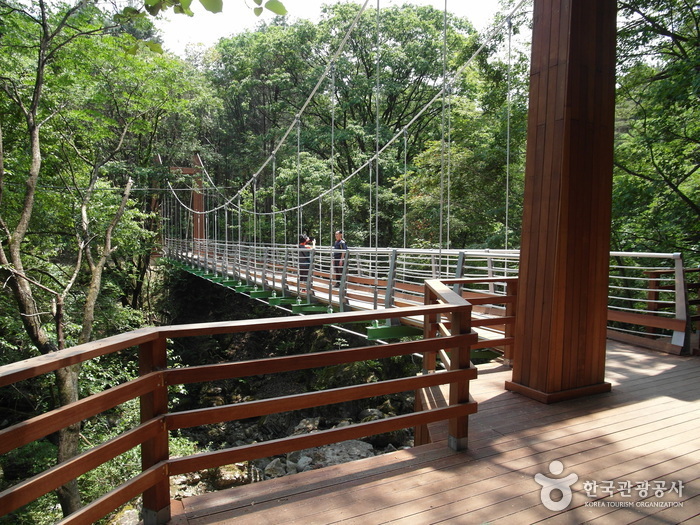 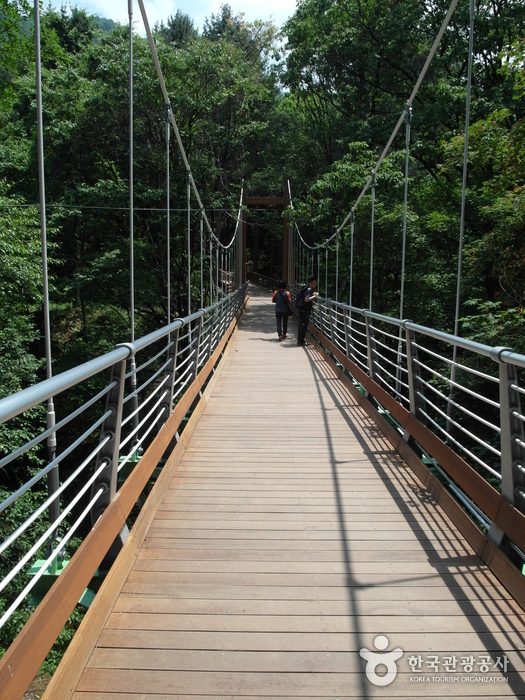 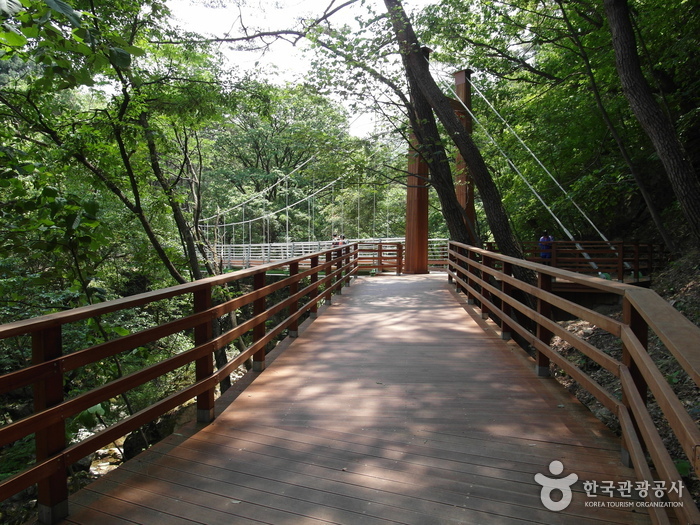 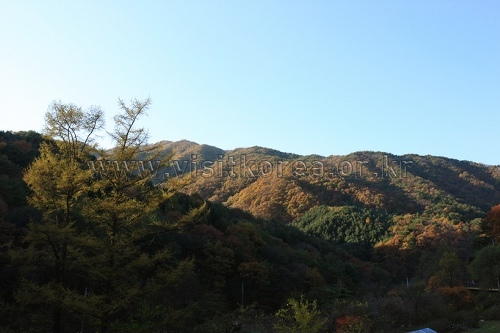 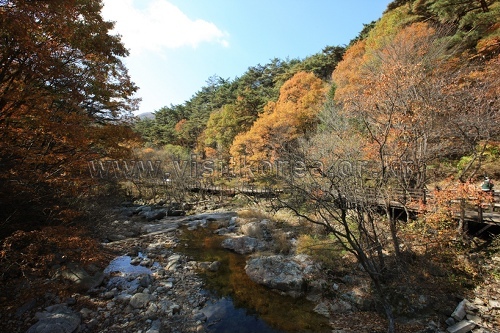 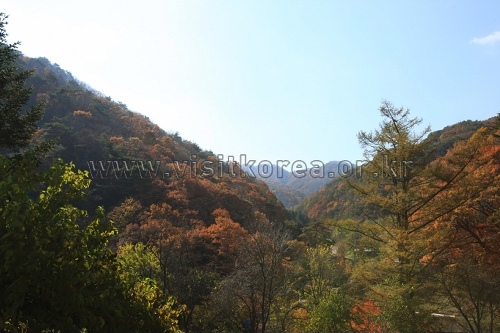 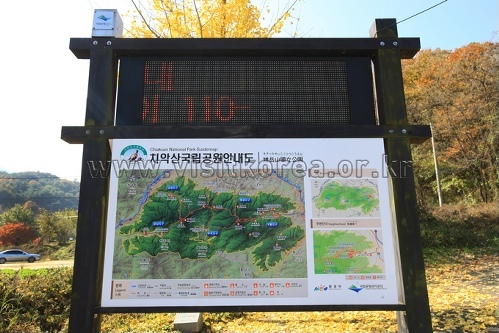 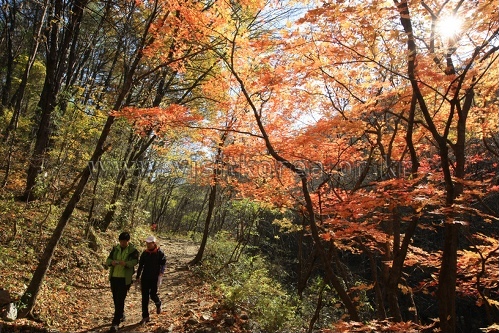 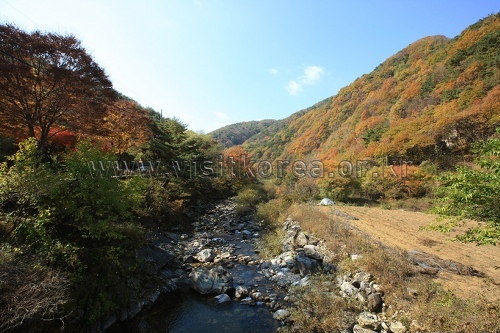 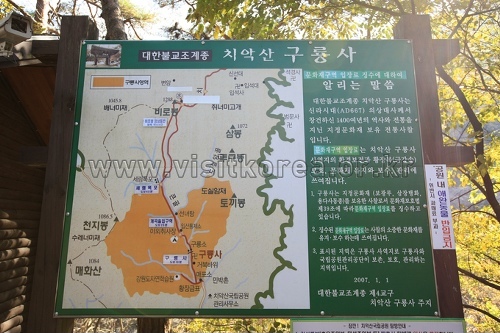 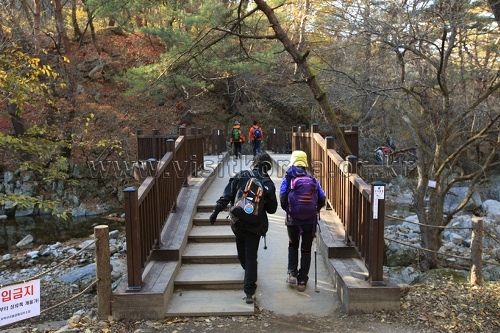 Chiaksan National Park, designated in 1984, encompasses a 182.09㎢ area with a 14km-long trail connecting the peaks from Birobong Peak in the north to Namdaebong in the south. 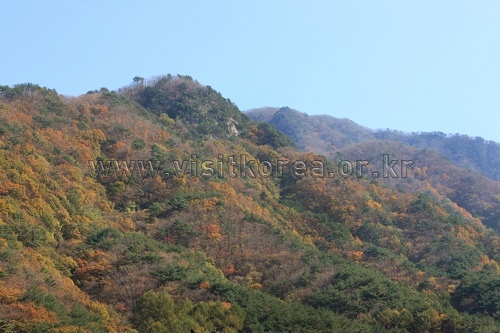 In addition to these soaring peaks, the park also includes many deep valleys, unique rock formations, waterfalls, and tourist attractions. 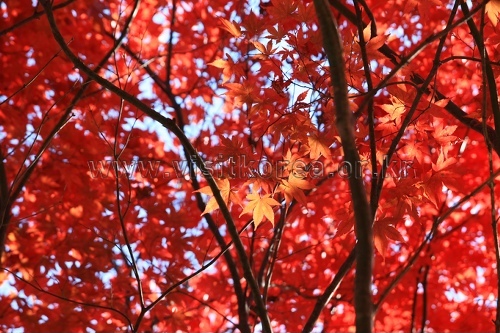 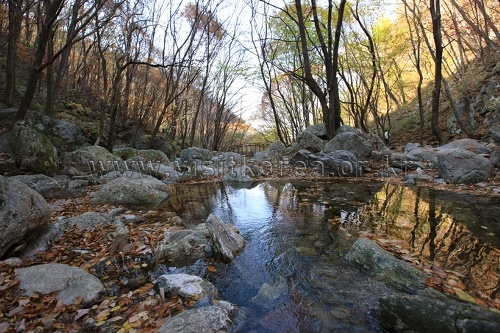 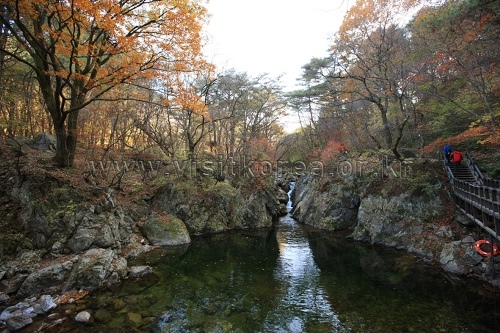 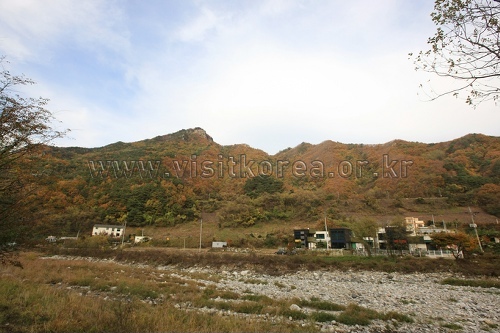 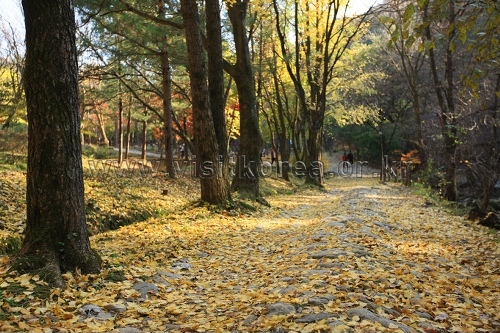 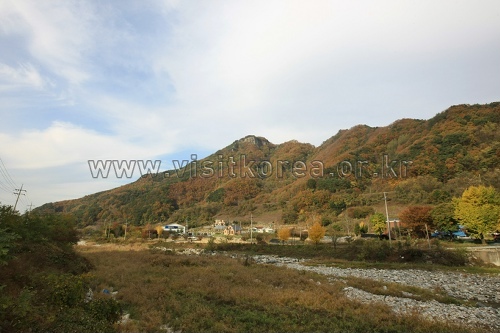 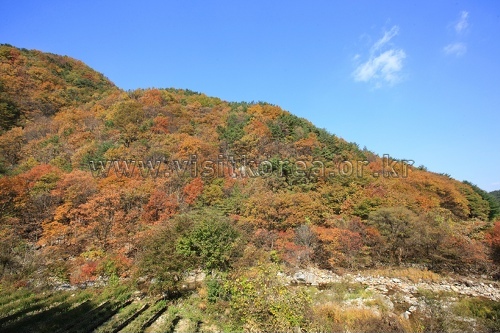 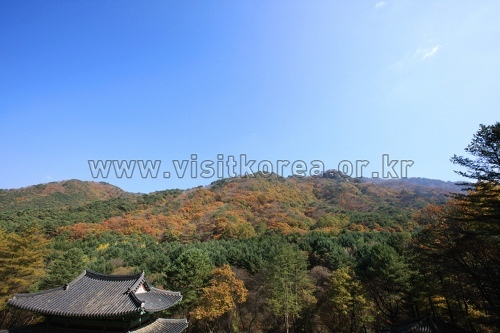 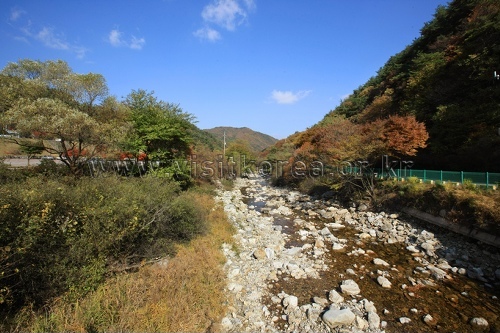 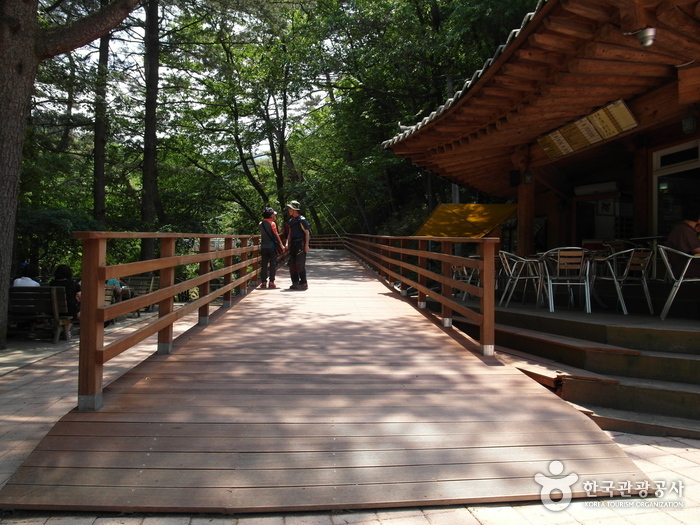 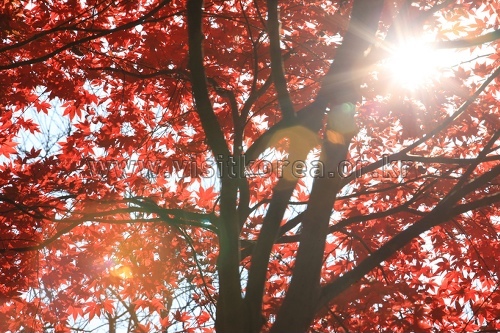 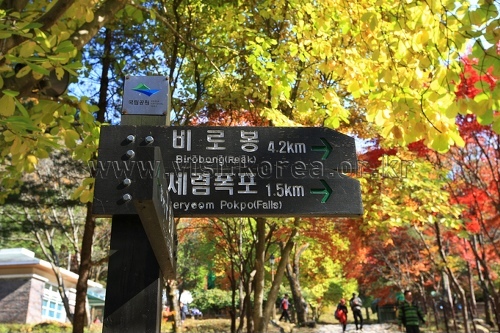 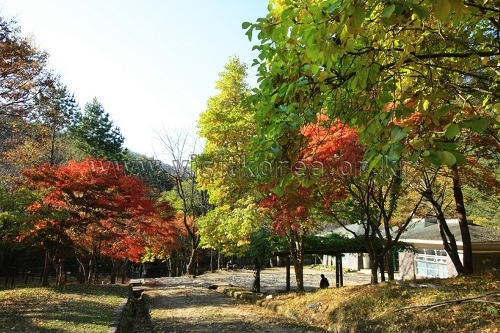 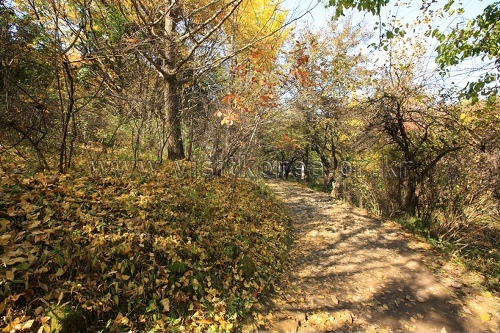 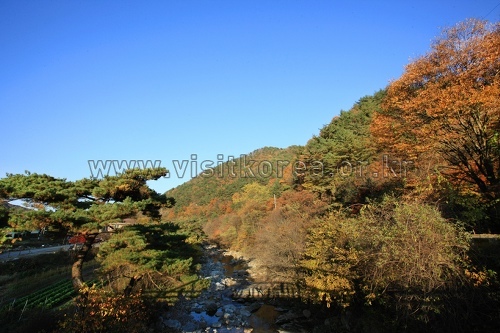 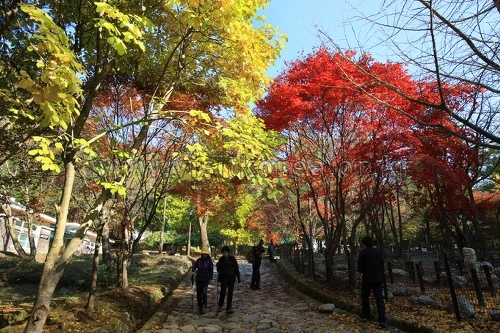 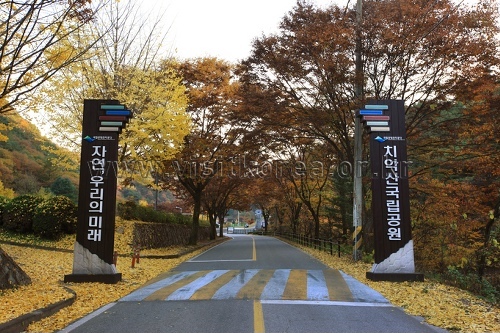 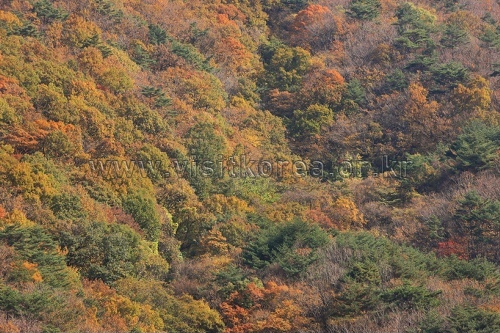 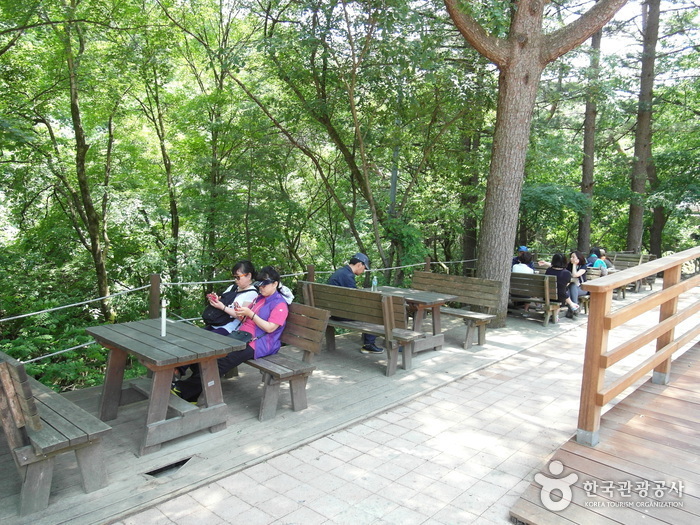 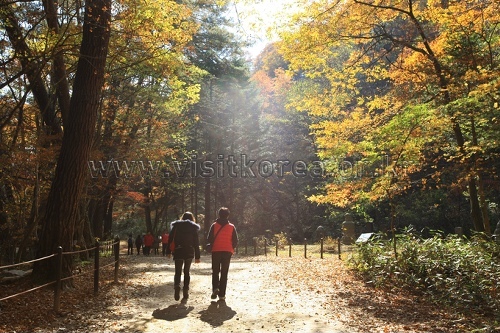 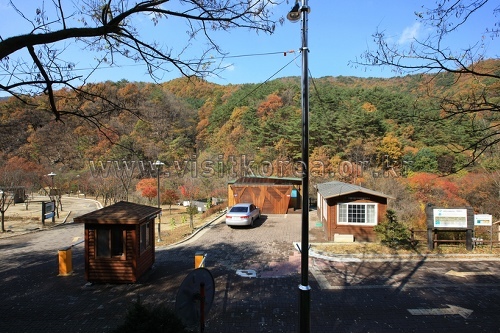 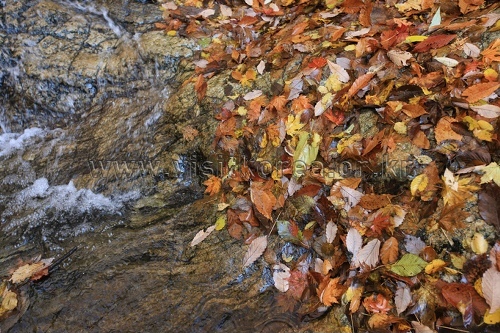 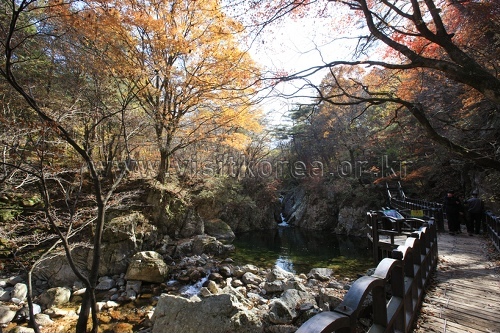 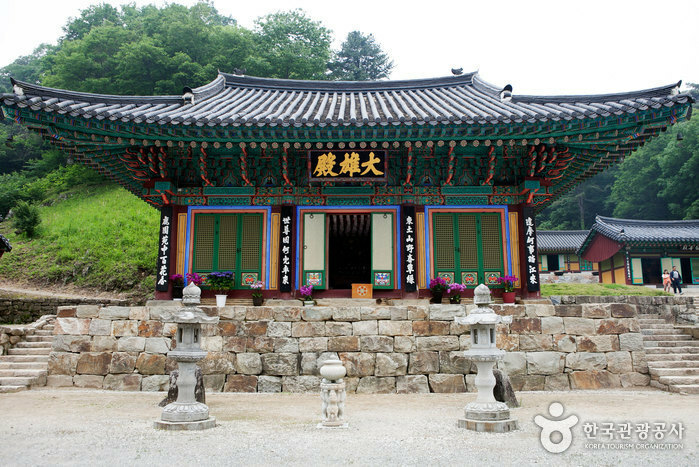 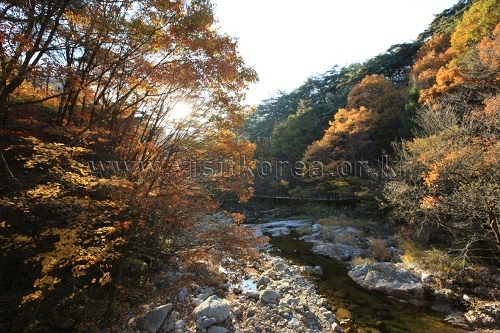 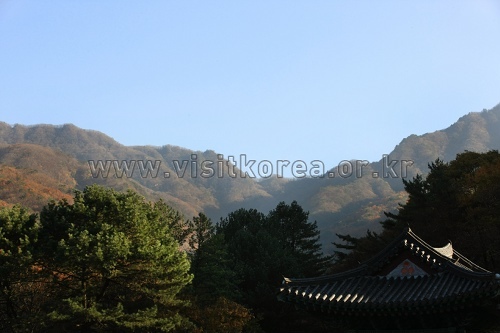 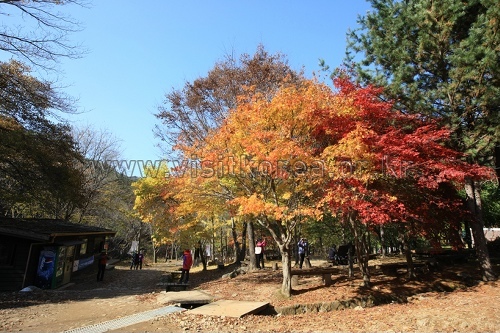 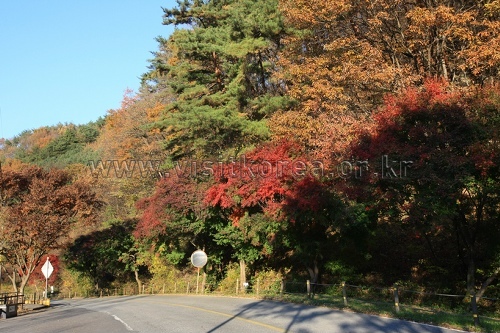 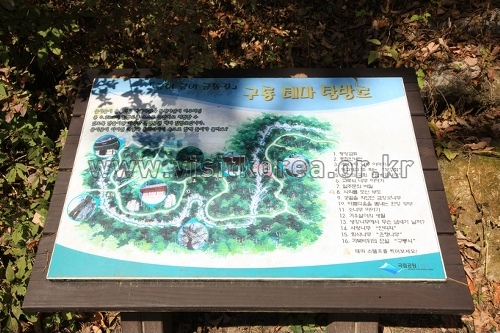 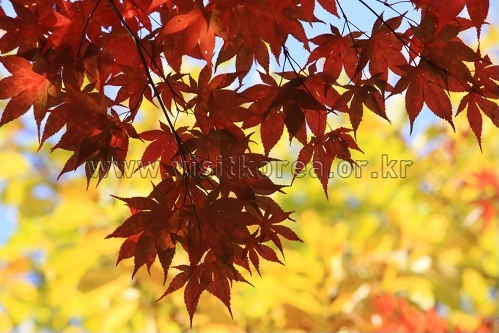 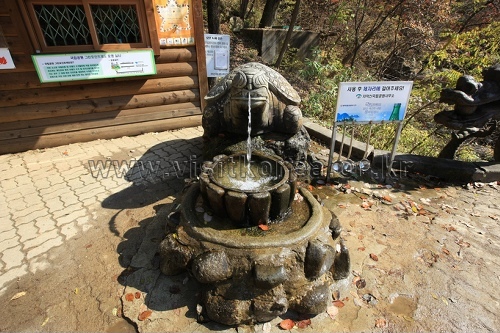 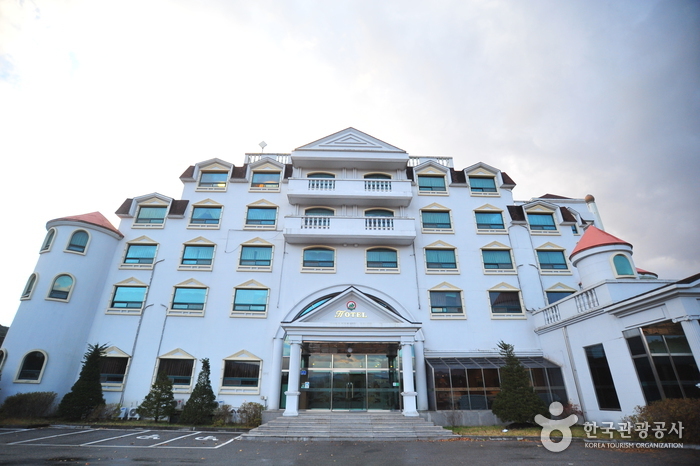 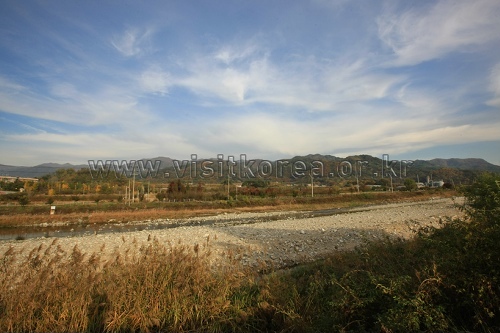 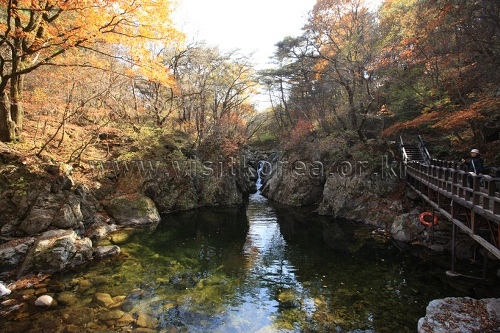 Some of the more popular destinations are Geumdae Valley, Taejongdae Rock, Seryeom Falls, and Guryongsa Temple. 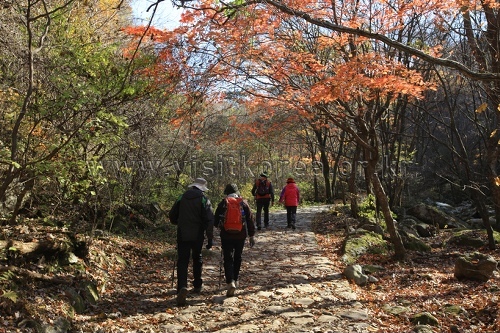 The park draws in hikers all year round, with bright azaleas in spring, lush forests in summer, vibrant foliage in fall, and a white wonderland in winter. 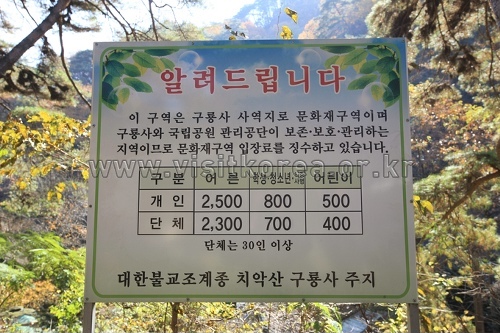 * In the case of losing a parking ticket, the fee will be charged based on the time from the parking lot opening hour to the exiting time. 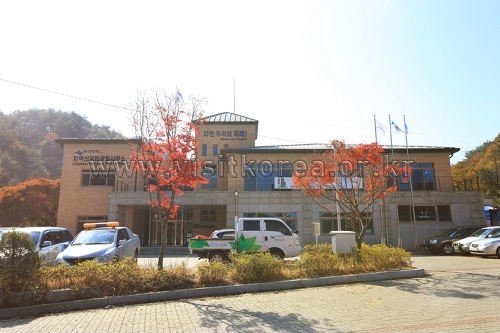 In front of Wonju Station, take Bus No. 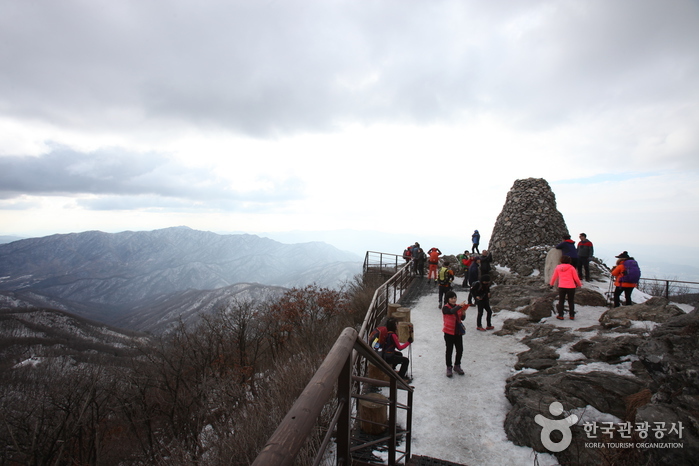 41 bound for Guryongsa Temple (40 min ride), No. 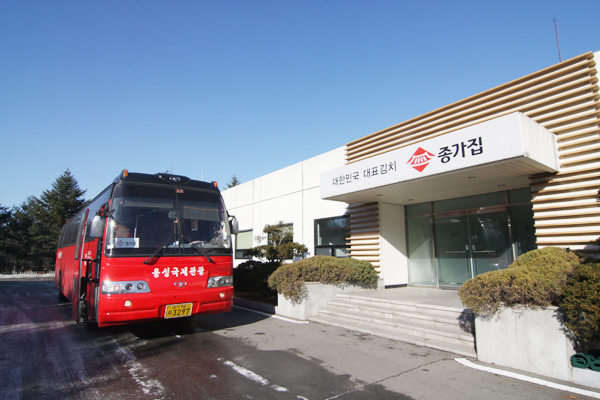 21 bound for Geumdae-ri or Seongnam-ri (30 min ride), or No. 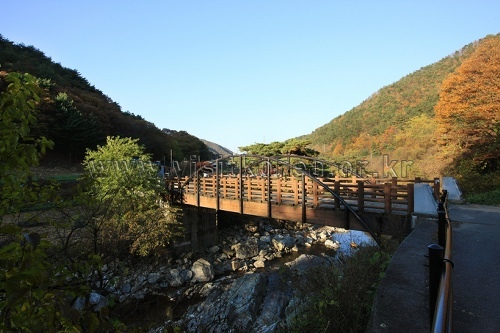 82 bound for Hwang-gol (30 min ride). 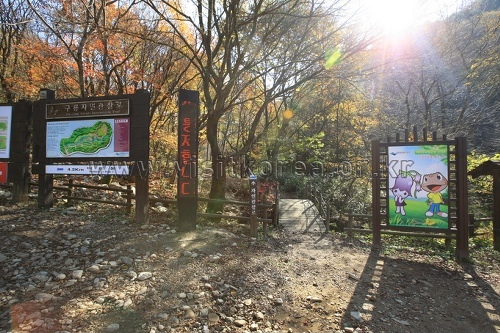 Get off at the entrance of Chiaksan Mountain.